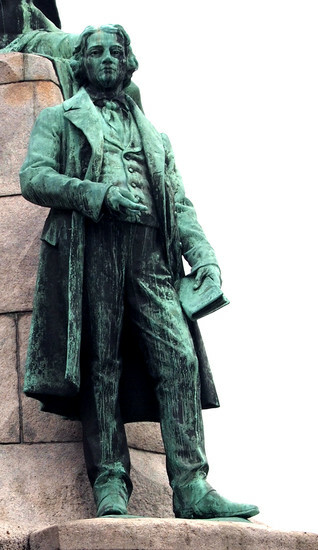 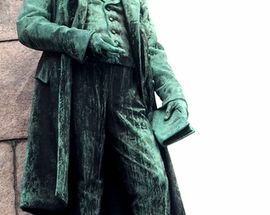 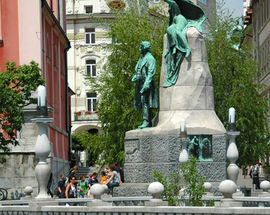 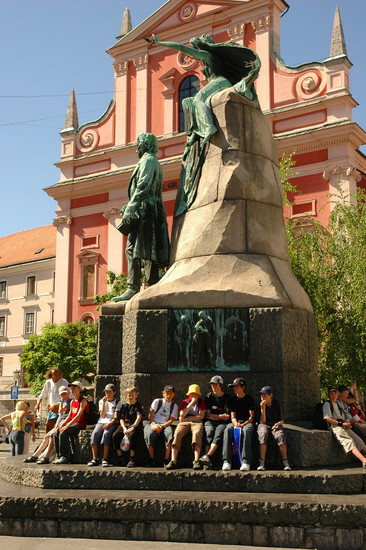 A likeness of Slovenia's national poet France Prešeren (1800-1849) stands in the square named in his honour at the foot of the Triple Bridge. 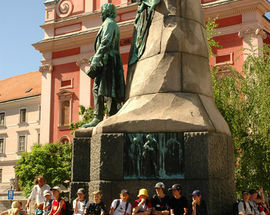 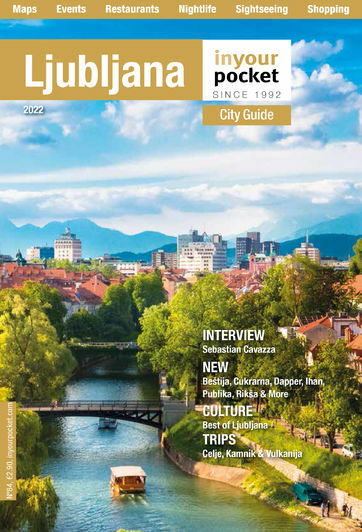 As well as offering an interesting visual treat, the monument also serves as a focal point for people meeting in the city. 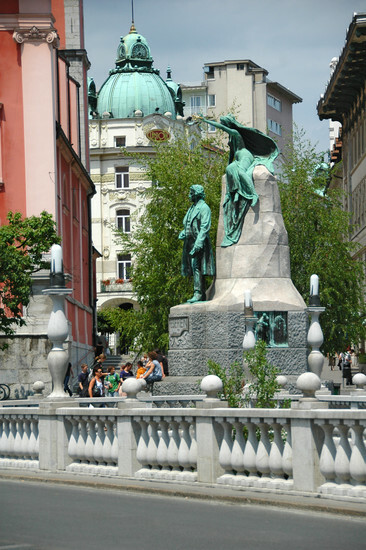 Unveiled in 1905, the large monolith is the work of the architect Maks Fabiani and the sculptor Ivan Zajc and features the Muse of Poetry holding a small laurel of bay leaves over his head as well as extracts from his writing around the base.